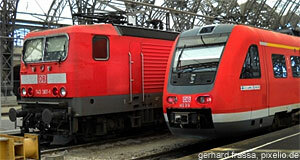 Salzburg to Vienna: Trains, Busses, Rental Cars? This is by far the easiest and most convenient way to travel from Vienna to Salzburg (or the other way round). Trains run from before 6 am until just before midnight from Vienna; from Salzburg to the capital, trains depart from after 2 am until 9:30 pm. The train ride takes about 2 hours and 40 minutes if you get one that stops only in Linz (that would be the fastest trains available); trains depart on an almost hourly basis in both cities. Pros: Trains are a fast, comfortable and environmentally friendly way to travel. There are organised trips done by travel agencies that take tourists from Salzburg to Vienna by bus - or the other way round. These trips are usually over-night arrangements and booked in packages. They target tourists as an audience, which is why we don′t know if they are worthwhile. We would recommend to enquire possible arrangements with the tourist information centre in Vienna or Salzburg. Note that we don′t know of any regular bus links between the two cities - at least not as far as it concerns public means of transport. Yes, there are flights between Salzburg and Vienna - in fact, about five a day during the main season. Note that for 300 kilometres with excellent train connections, a flight does not really make sense: The fast trains take 2 hours and 38 minutes from city centre to city centre (more or less). Now add up transfer times to one airport, check-in, flight, check-out and transfer time to the city centre - and you will almost certainly end up with a longer period of time and more money wasted. To enquire about flights and airlines offering them, get in touch with the Mozart Airport Salzburg (link below) or the Flughafen Schwechat (Vienna Airport). The highway between Vienna and Salzburg follows almost the same route as the Westbahn railway. That means that it gives you a nice cross-section of Austria with opportunities for stop-overs at major tourist attractions. This includes - in the order of a Salzburg-Vienna trip - places in the Salzkammergut, Linz and surroundings, Mauthausen and Enns, the Wachau and Melk Abbey and the Wienerwald area outside of Vienna. Major international car rental companies can be found both in Salzburg and Vienna. Just do a Google search for the usual suspects. Driving from Salzburg to Vienna depends of course on the traffic and on weather conditions, but typically takes about 3.5 hours (city centre to city centre).